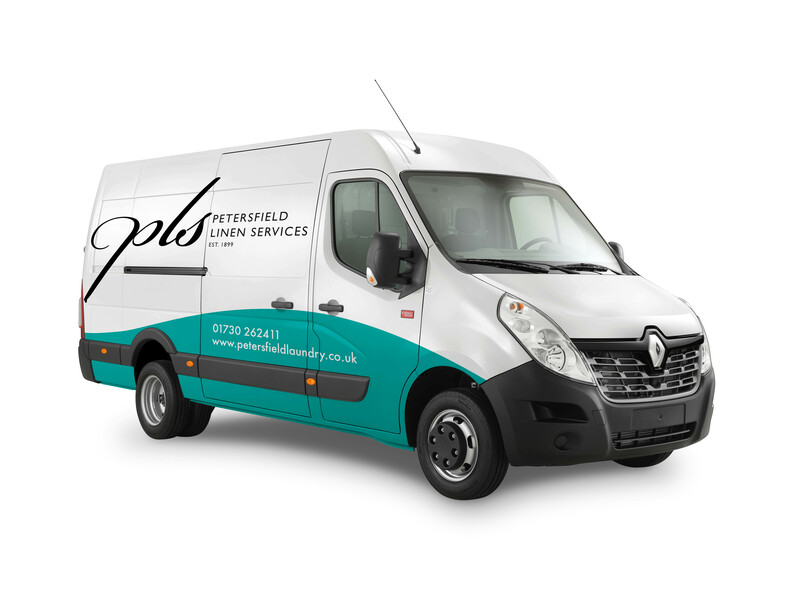 Established in 1899 in our home town, Petersfield Laundry provides high-quality laundry and linen hire services to clients across southern England. Although still very much a family firm, its operations have expanded in recent years, and it now collects and clean over 20,000 items a day for hotels, restaurants, guesthouses and other commercial clients across our region. At the end of 2016, we embarked on a full rebrand for the company, including a new logo and identity to give it a fresher, more contemporary feel in keeping with its levels of services and expertise. We also completely redesigned and rebuilt its website. In July 2107, we completed the final phase of the project with the rollout of our new vehicle decals. This is an incredibly important part of the brand communication, since the vans travel throughout Hampshire and surrounding counties every day. We, and the client, think they look incredibly smart and eye-catching: look out for them as you’re out and about – and do send us a pic if you spot one!